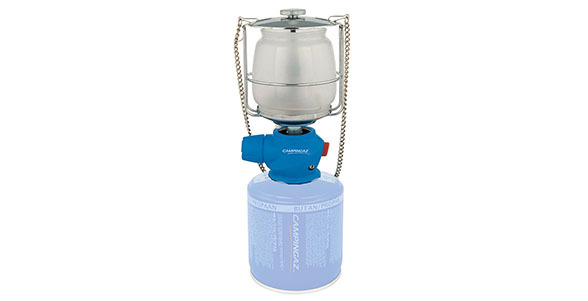 A lightweight valve cartridge lantern, the Lumostar Plus is easy to set up and operate. It features a fully detachable head for easy mantle access and Easy Clic connection. An integrated suspension chain handle can be used for either hanging or carrying and an integrated globe protection guard protects the lantern from knocks. Piezo instant ignition promises match-free lighting whatever the conditions and the handy carry bag is perfect for transportation and storage.